Implementing best data warehouse designs and practices such as data lineage reduces the need to ever have to restore an entire relational data warehouse. However, sometimes there are instances whereby you have inherited poorly designed data warehouse environments that leaves you with no other options but to perform an entire database restore in an event of a sudden disaster. I recently found myself in a similar situation of having to recover one of my data mart following a data integrity issue wherein all data of a type 1 dimension was updated/overwritten using an incorrect source file. In this article I take a look at how different approaches can be utilised to restore the compromised SQL Server-based data mart back to its “good state”. After receiving new additions to backup and restore capabilities of SQL Servers like file and page restores, I thought that nothing will surprise me anymore, but well, here it is; SQL Server file-snapshot backups in Azure. 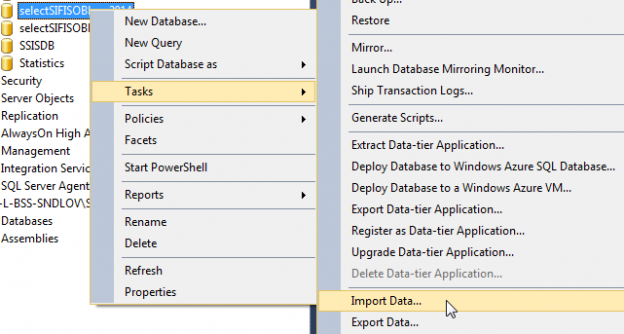 The Stretch database is one of the latest and most-exciting features that has been released with SQL Server 2016. In the previous article, we examined the concept behind it, the steps to implement it, monitor it and how it can be disabled. As a natural follow-up, we will explore the backup and restore topic when it comes to those kind of databases. Long before I turned to Data Warehousing and OLTP replica environments such as Operational Data Stores as a form of data redundancy strategies, I had been using database snapshots. During that time, the analytics and reporting teams were directed towards a database snapshot as a data source for their development. Another benefit of having a database snapshot, is the ease of knowing that should unintended changes be committed in source, you could easily revert the operation by restoring source database off the snapshot. Database backups are important and always something you should have in any environment. Outside of needing them to restore a given database they have some information that can be useful in certain situations. One situation I found them convenient is with consolidation projects. If the databases are online you can obviously go to the source SQL Server instance to gather that information, but as a consultant I don’t necessarily have access to every environment. You may have the same issue if you are being brought into a project and your customer or department manager just wants you to advise on how you would setup the server. One easy request is to have them point you where the backups are stored and ensure you have access to the files. Backup and recovery are some of the most important DBA tasks, although they look simple enough and usually you setup them, leave them running on schedule and only come back if they fail – there is a whole new world in regards to optimization you can do to make them faster, better and … smaller. The SQL Server backup provides an important solution for protecting critical data that is stored in SQL databases. And in order to minimize the risk of data loss, you need to make sure that you back up your databases regularly taking into consideration the changes applied to your data. It is a best practice to test your backups by restoring random backup files to a test environment and check that the backup files are not corrupted. Backups to Azure – How can I do this? With the evolution of the Cloud, specifically talking about Azure, SQL Server team started to take advantage of the new opened horizon. We already discussed pros and cons of send backups to Azure, now let’s check how to do this! Following the “Hybrid Scenarios series”, we already discussed about the connectivity options, and pros and cons of store our backup files in Azure. In this article, we will specifically talk about the two options that we currently have, involving Azure: Blob Storage and Managed Backups. Backups to Azure – Why I would do this? With the evolution of the Cloud, specifically talking about Azure, SQL Server team started to take advantage of the new opened horizon. In this article we will discuss about backups. What are the pros and cons of store your backup files in Azure? Sometimes we need to move our local files, SQL scripts, backups from our local machine to Azure or vice versa. This can be done manually by accessing to Azure and using a browser, but there are other methods to automatically do this. This article describes the Microsoft Azure Storage Tool. This is a command line tool used to upload data to Azure from a local machine or to download data from Azure to our local machine. The article will describe step by step how to work with this tool. A few days back I encountered an interesting challenge. The client wanted to have copies of the nightly backups of the transactional databases restored on a warehouse server, to be utilized to update the warehouse. Prior to the pushing the daily backup to the warehouse server, the previous days restore is deleted. The important point being that the “SQLShackFinancial” database is no longer present on the warehouse server. Having been deleted, downloading of the backup file begins and the restore of the current backup version begins. Normal warehouse processing then ensues and so the cycle continues. In the last chapter, we explained how to create a Microsoft Azure Account and how to have a Microsoft Azure Portal. This time, we will show how to backup our SQL Server Databases to a Microsoft Azure. We are assuming that you already have an Azure account. This Article is for people with experience using T-SQL and SQL Server Management Studio, but without experience in SQL Server Integration Services (SSIS).